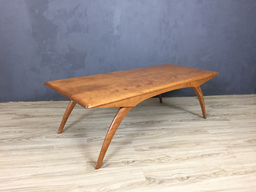 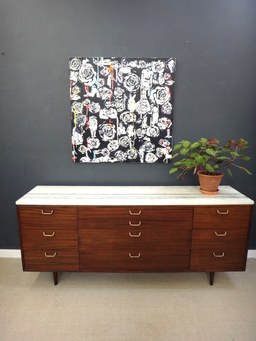 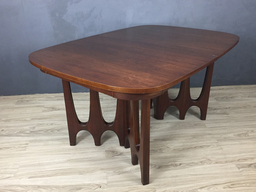 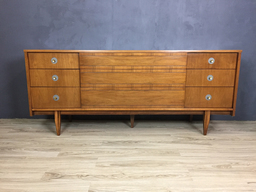 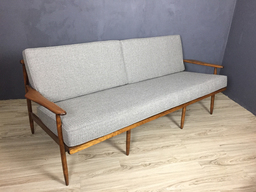 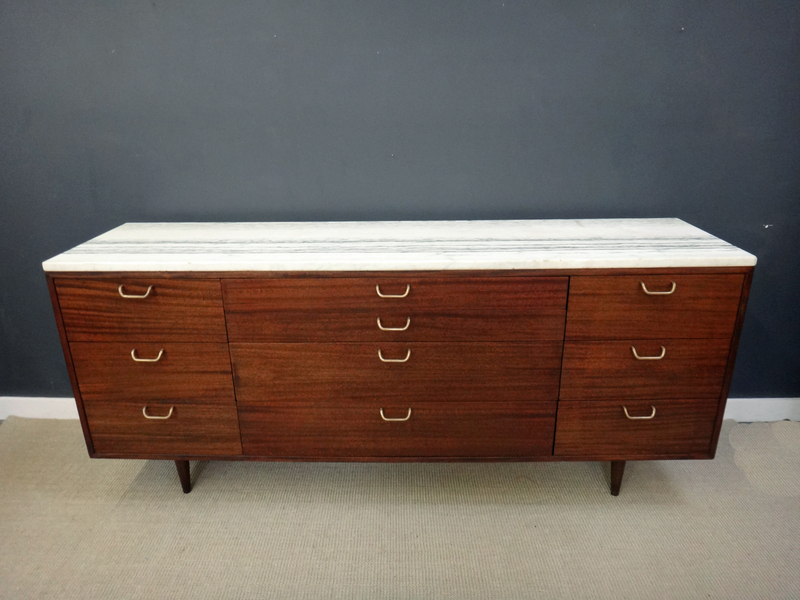 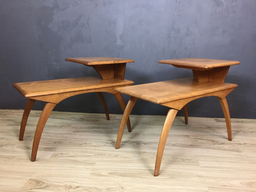 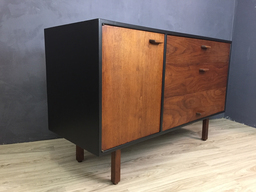 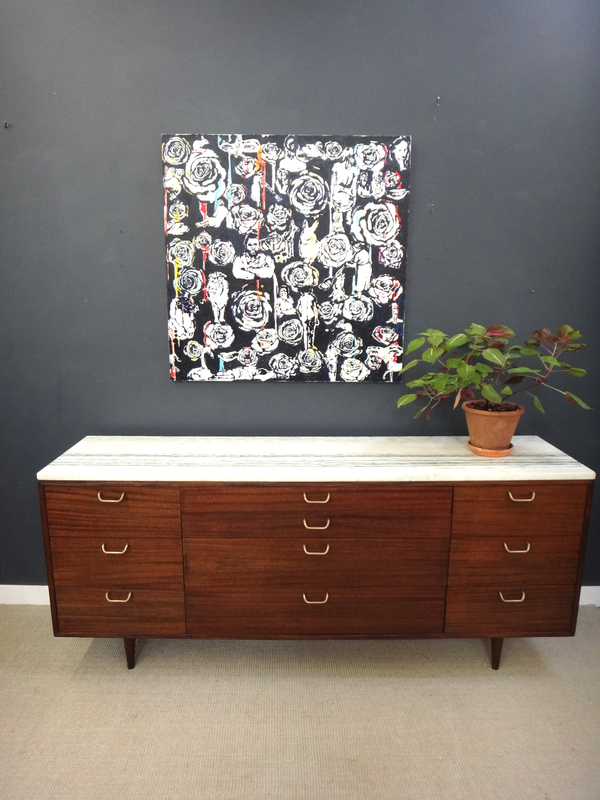 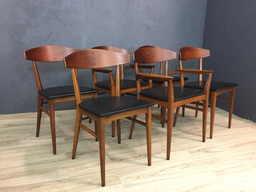 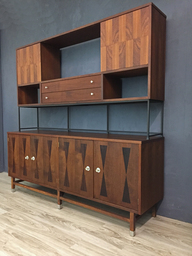 Harvey Probber was one of the leading designers of the mid century whose creations appealed to customers looking for modern design with elegance. 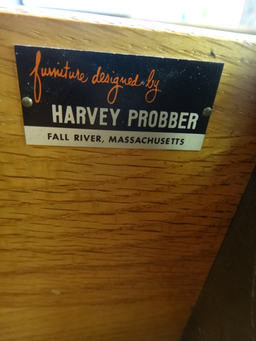 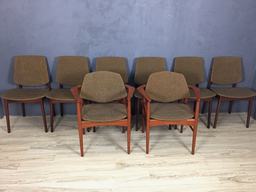 This authentic Probber pieces was manufactured in the 1950s with the original label. 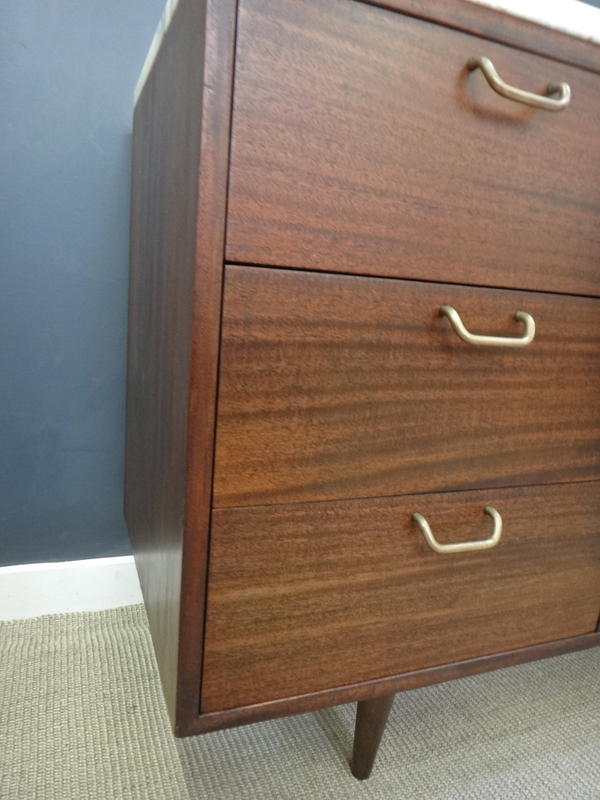 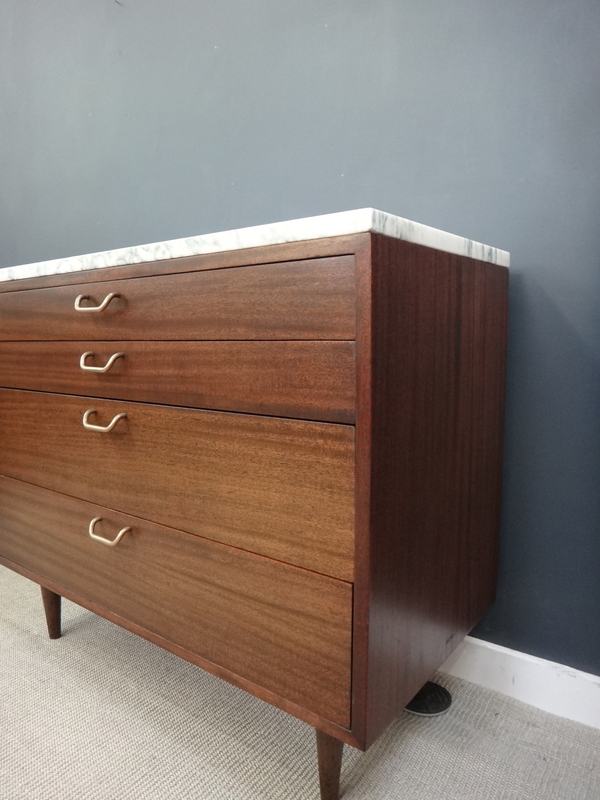 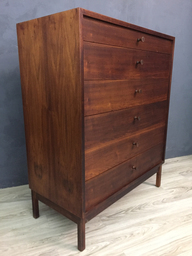 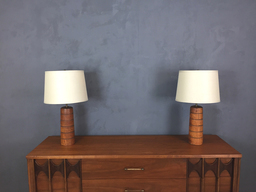 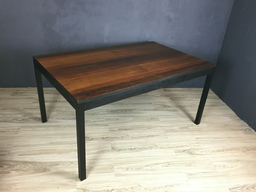 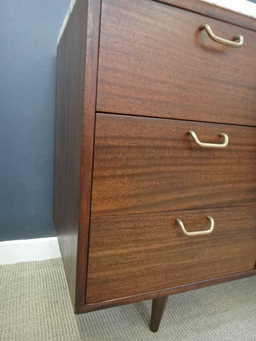 The mahogany has been refinished to mimic the original finish and it is in excellent condition. 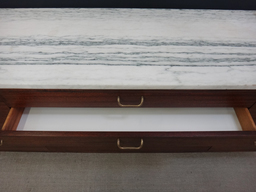 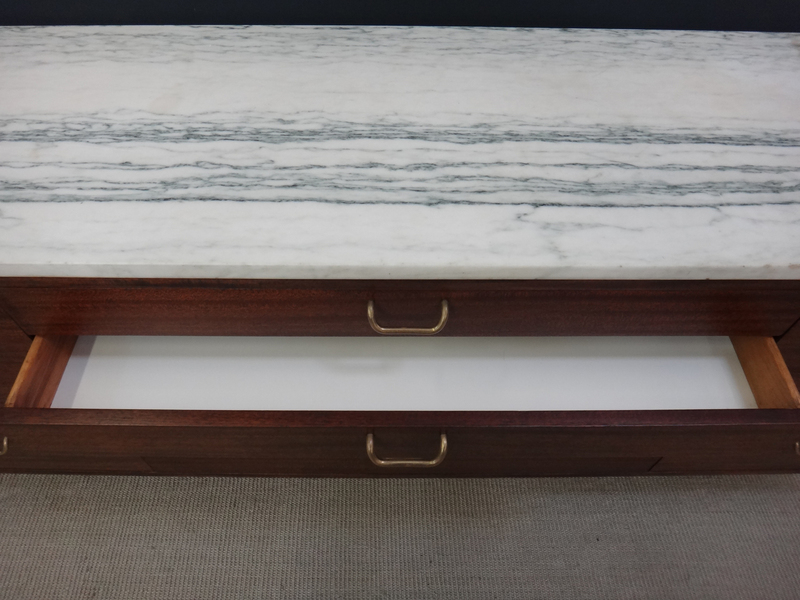 The marble top, which shows some signs of wear, may or may not have been original; if you prefer wood, the top can be refinished for an additional fee.